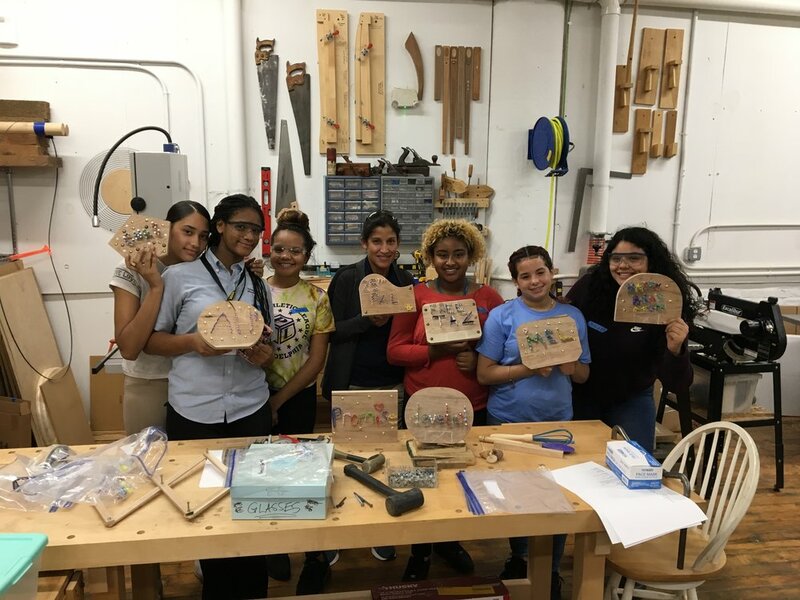 A 10-week introduction to woodworking for teen girls from the 25th District PAL. 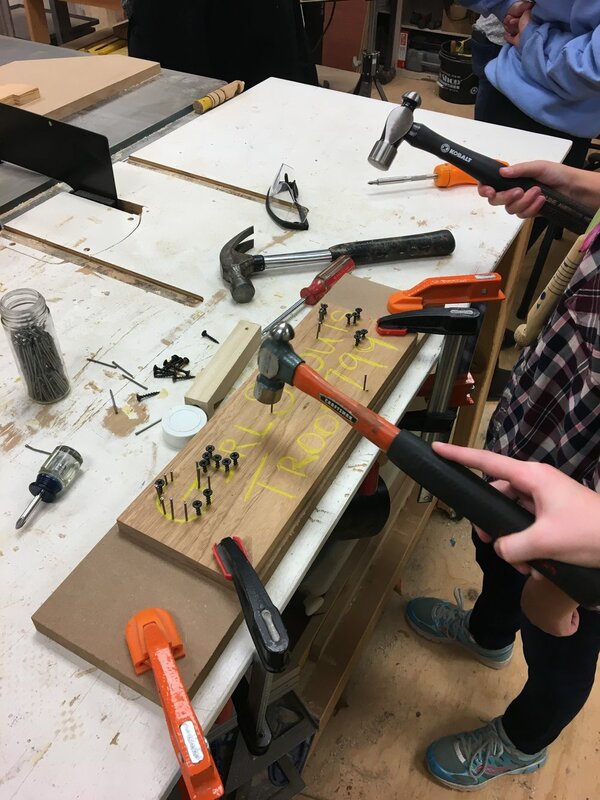 The students began with hammers and nails, moving on to all power equipment. 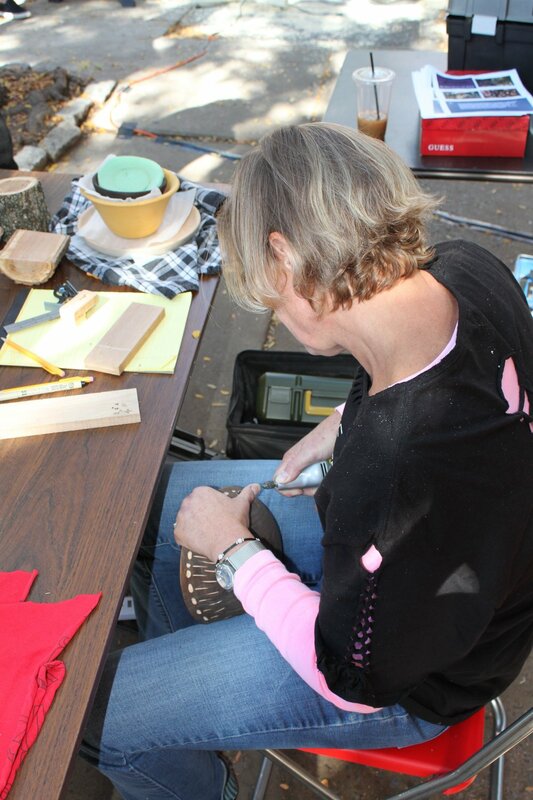 They were taught all the safety and procedural techniques to make unique handled totes, woodturning ornaments, sculptures, pens, utensils, and bowls. 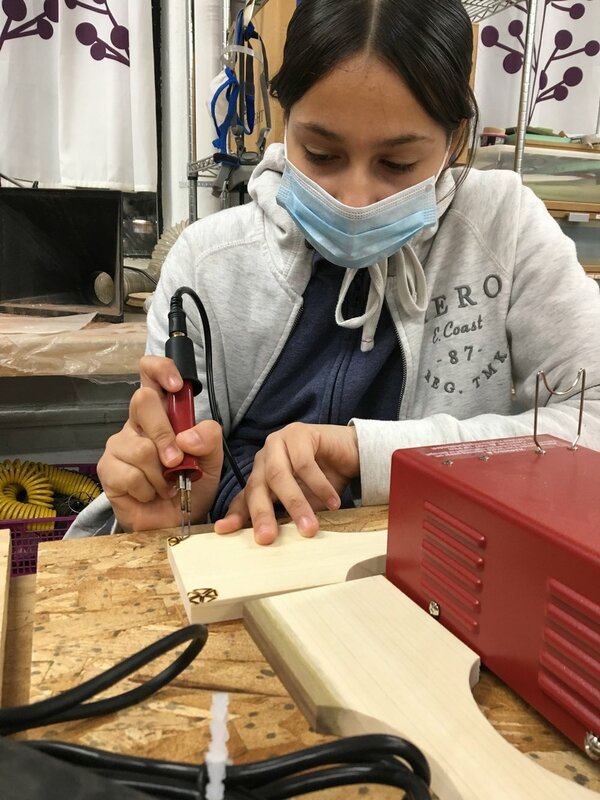 The program has been broadened to include another local PAL center and welcomes middle school girls and boys. A hands-on exploration of craft hosted by CraftNow and held annually at the Kimmel Center. The room burst with the sounds of hand made wooden whistles! 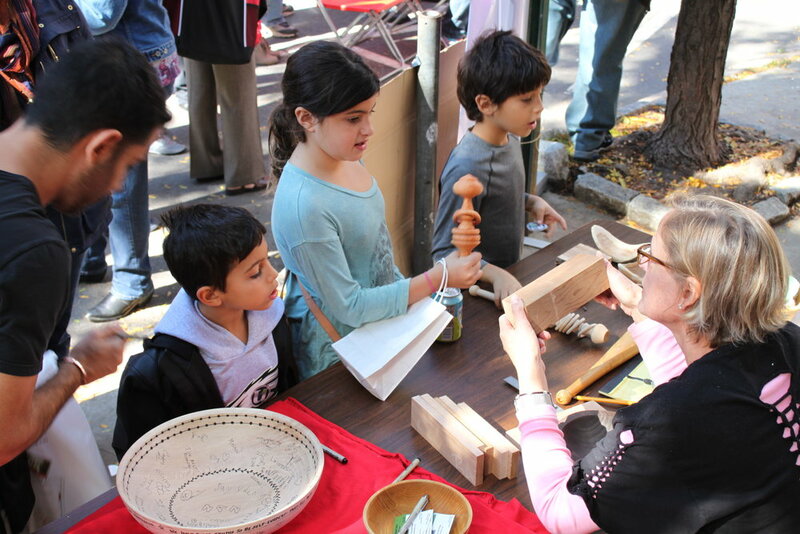 An annual celebration of art, craft, food and culture. 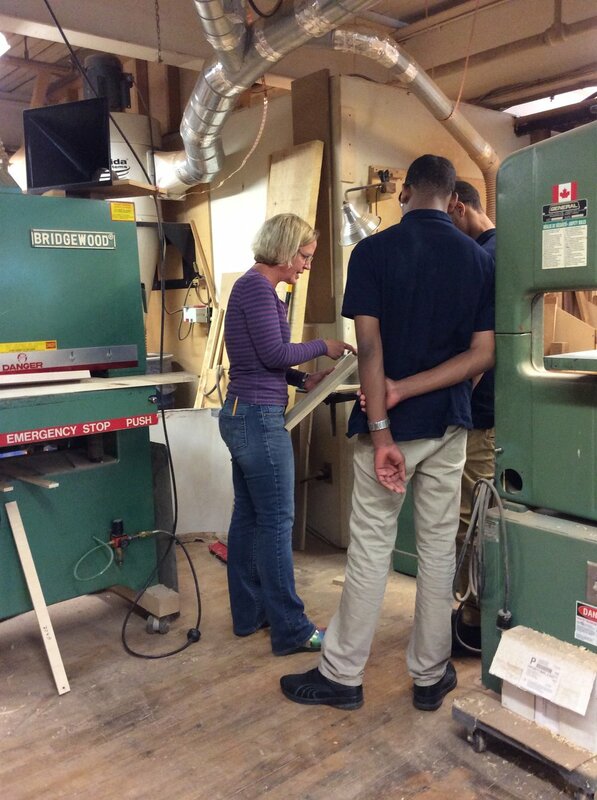 Woodturning demonstrations and collaborative sculptures. 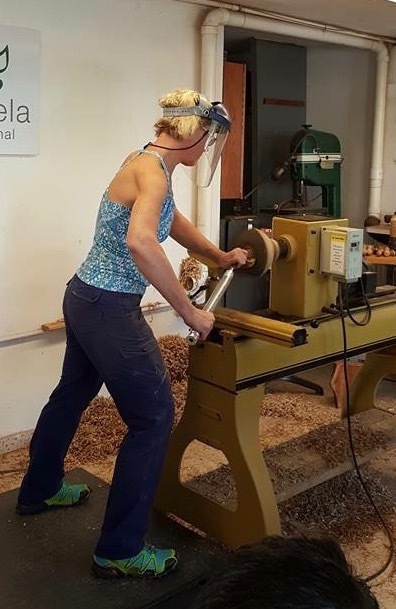 Worked with local government to provide woodturning instruction and to redesign the workspace at the “Craft House” for productivity and safety. 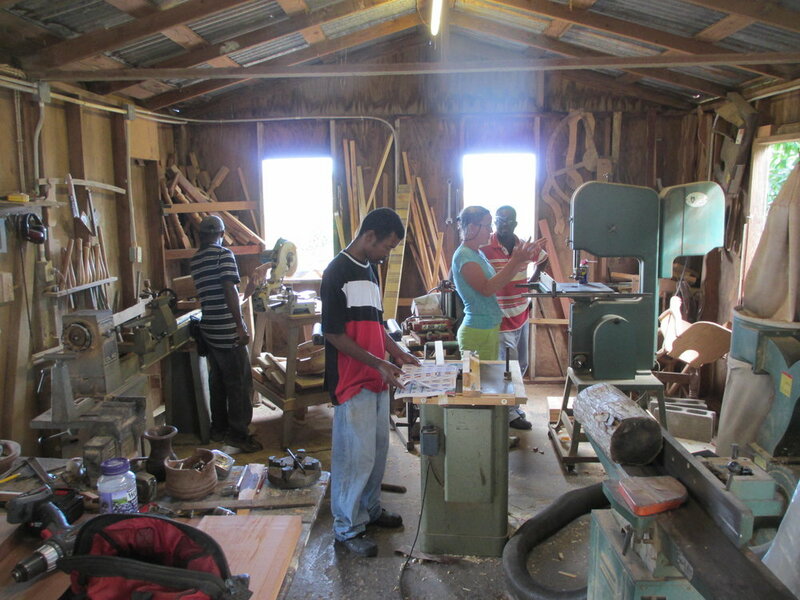 Taught workshops on site at the Craft House as well as in the homes of several residents. 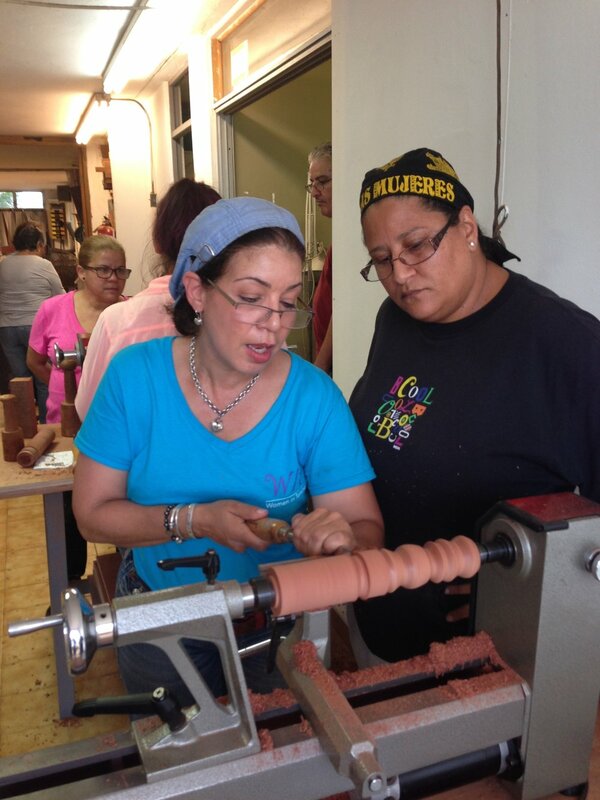 Joined Carmen De La Paz at the school Taller Escuela, located in Carolina, Puerto Rico and operated by Rene Delgado, for a hands-on workshop. 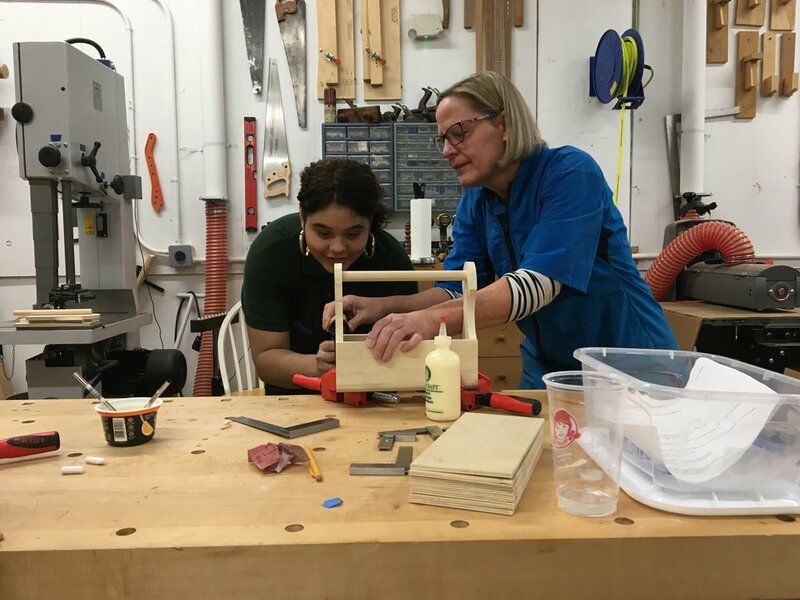 The group was just beginning their association with the American Association of Woodturners (AAW) “Turners Without Borders” program. 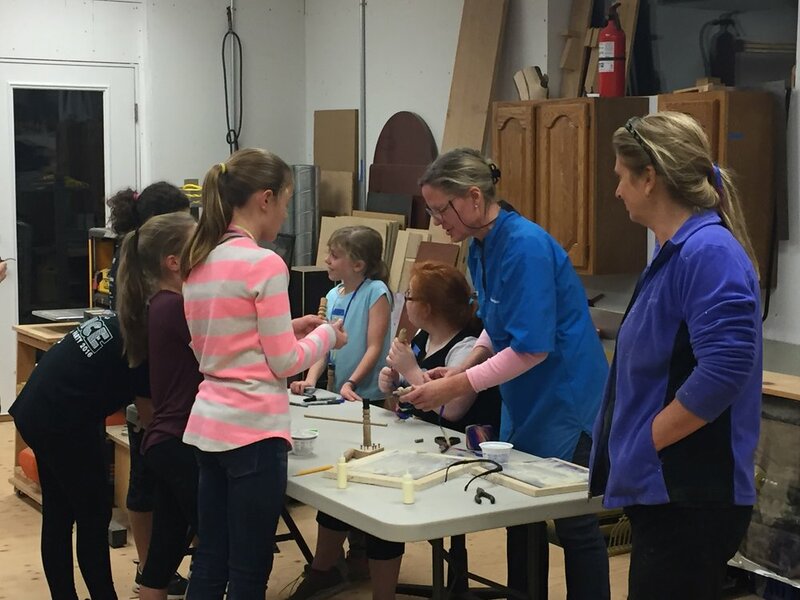 A special Women In Turning program was also held. 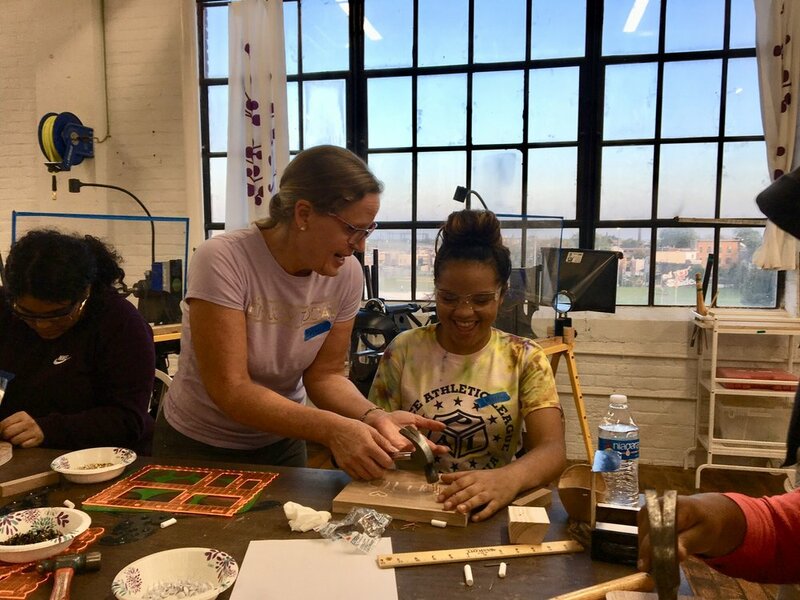 Annual bowl turning workshops in conjunction with the Philadelphia Martin Luther King Day of Service program held at the Germantown Friends School. 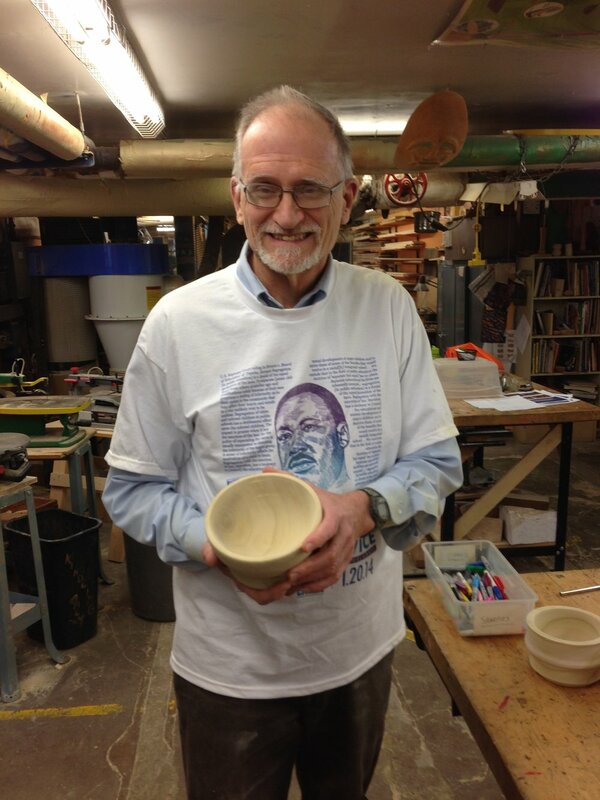 Most students had never done any woodturning and donated their 1st bowl to help fight hunger. 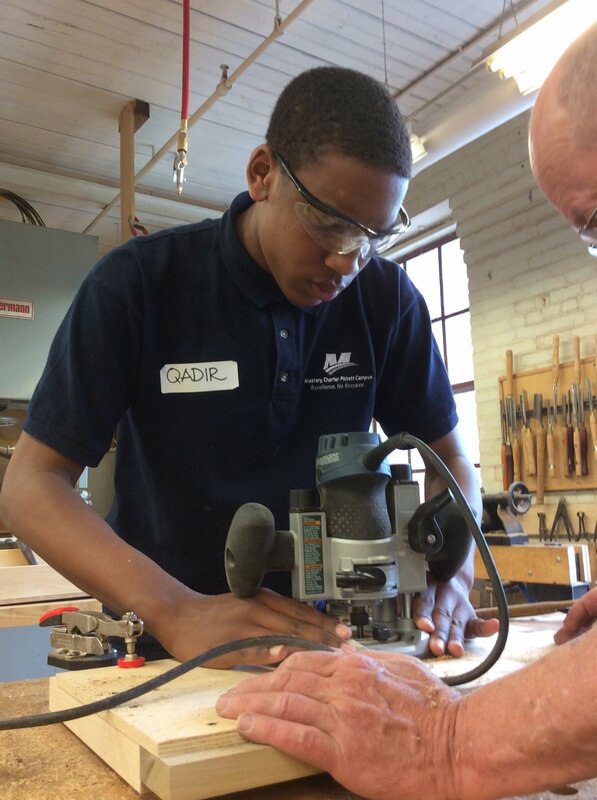 Program to introduce high school students to woodworking at the Mastery Charter School in Germantown, Philadelphia. 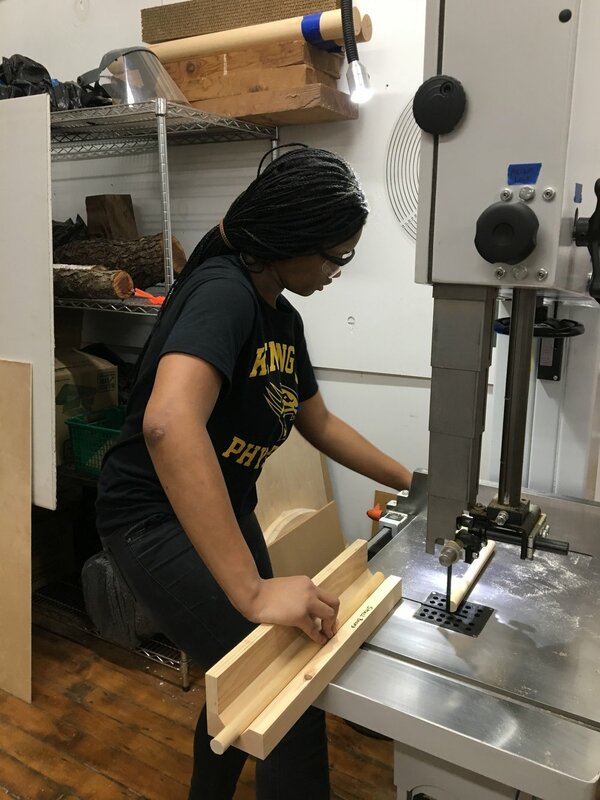 Benches for their school were made at the Philadelphia Furniture Workshop. 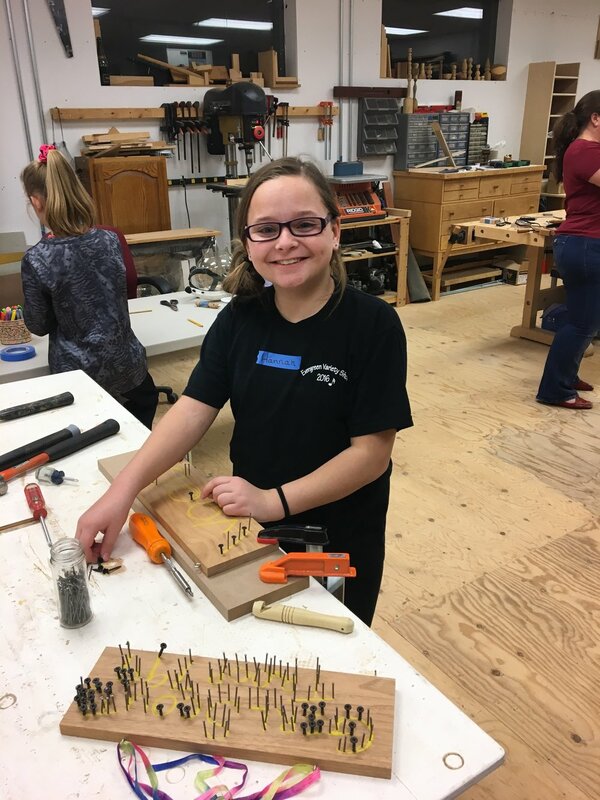 Workshops with Girl Scouts to help scouts earn their woodworking badges.